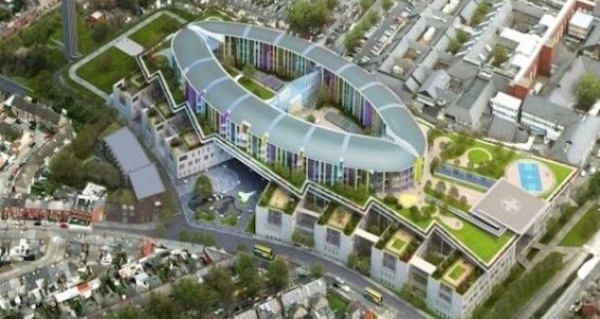 A devastating report has been published on the national children’s hospital in Dublin that identified “significant failings” in planning and budgeting which is set to lead to a one billion euro cost overrun. A long-awaited report by auditors found all but €16 million of the overrun to date could have been controlled. The cost of building the hospital has risen from an estimated €800 million in 2014 to €983 million in 2017 and €1.43 billion now. When equipping the building and providing IT are added, the bill comes to €1.73 billion and this does not include the cost of family accommodation, a research centre, excess construction inflation and any other changes to clinical standards. PwC found “red flags” around the inadequacy of the budget were missed from as early as the tendering stage in 2017. All four bids were higher than the budget of €575 million by a range of €61 million to €239 million. The report found that the objectivity of the National Paediatric Hospital Development Board may have been impaired. The report was also “unable to understand why there was not earlier and greater scepticism” among the hospital board and executive given the lack of a full design. While the findings came as no surprise after a drip-drip of information in recent months, they stand in shock stark contrast with the desperately low funding provided for critical public health services by the current government. She said the government had acted as spectators and commentators rather than living up to their responsibilities. The process had been a shambles “from start till finish”. “This is public money and we need to deal in facts,” she said. “The fact is this was an overspend on an epic scale and not simply an ‘underestimation’ of costs as the government would have us believe. “This cannot just be business as usual. The fact is our entire health service is in chaos. We have ‘Status Black’ incidents in our hospitals, where A&Es are effectively closed down, the trolley crisis is getting worse every day, and thousands are on growing waiting lists. Aontú leader Peadar Tóibín said that Fine Gael had failed to manage other large infrastructure projects, and warned of another potential “overrun” in the rollout of broadband, which is likely to cost two billion more than expected and could drag on for years. He also pointed to the collapse in the delivery of health services which saw Limerick University Hospital recently admit to being “clinically unsafe” after an overcrowding crisis left 80 patients on trollies in the facility. “The health service in this country is in a virtually unprecedented crisis, and Minister Harris is, let’s be honest, completely incapable of managing it. He has proven himself to be so,” Mr Tóibín said. “And the consequences of his incapacity are not only political – his mismanagement and ignorance of the job he is doing presents a real threat to people’s lives. People will die, if they have not already died, because of how the Minister is failing, and how his Government is facilitating those failures. “My heart goes out to all of the 594 people and their families currently lying on trollies in facilities across this country. It is time for a change in how we run the health service, and it is time for political accountability. Minister Harris must resign. If he was in the private sector, he would have been sacked a long time ago, and it would not have been controversial that he was”.